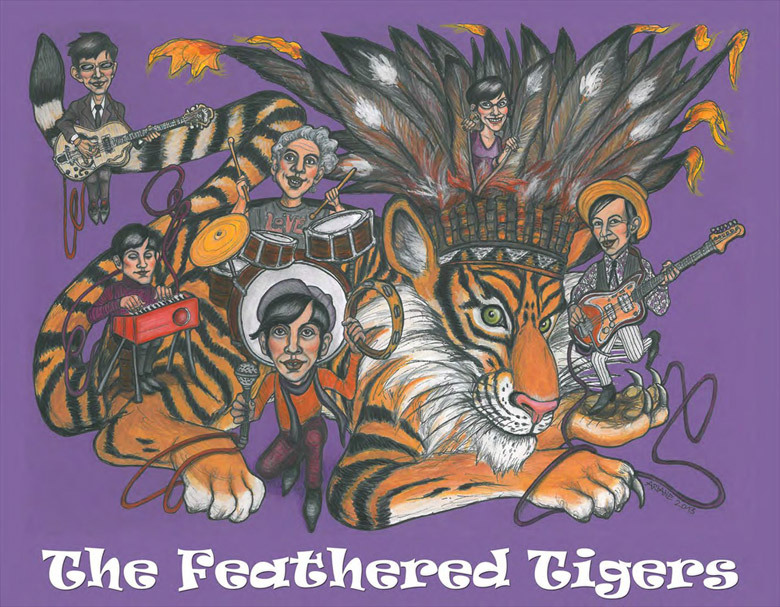 Here’s a new promo pic of THE FEATHERED TIGERS – artwork done by ARIANE. Watch the stunning new video for the song „Seven“, taken from the CHEEKS-album „Feathered Tigers In A Magic Zoo“. Enjoy! WE are happy to notice that there is lots of interest in our new album FEATHERED TIGERS IN A MAGIC ZOO just before it’s released! It’s not possible to announce a proper release-date for the vinyl-LP on TEEN SOUND RECORDS / IT at the moment, while the band is waiting to sign the publishing contracts…. But it will definitely be around March/April this year and comes along with the digital release around the same time, we’ll keep you informed…. Each pre-order will receive an exclusive download-code plus tour poster, so don’t wait to contact us!! If you are interested to get a CD – please tell us already now! We’re looking forward to produce them as soon as possible also with the help of TEEN SOUND RECORDS / IT, but a little later this year…. Feel free to enjoy a full album length pre-listening here!